The United Airports of Georgia under the Ministry of Economy and Sustainable Development, reports that in January-July 2018, Georgian airports served a record number of 2.719.920 passengers, which is 28% more compared to the same period of 2017. 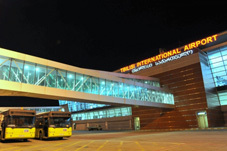 Tbilisi International Airport served 2.104.161 passengers, which is 27% more compared to the number of passengers transferred in the same period last year. As for only July, Tbilisi Airport served 429,088 people, which is 16% more compared to July 2017. Kutaisi International Airport served 75,372 passengers in July, a 52% increase compared to the same period last year. As for the number of flights, in July, 252 flights were completed via Kutaisi International Airport, which is 34% more year-on-year (188 flights in July 2017). According to the data of the first seven months of 2018, Kutaisi International Airport served 310,115 passengers, 33% more than the same period of the previous year which saw 233,261 passengers. 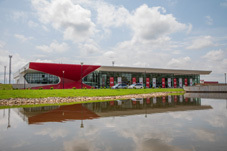 Batumi airport has seen over 301.597 passengers in 2018, 29% more compared to 2017. Only in July, Batumi Airport hosted 111,325 passengers, 11% more compared to the same period of the last year. The United Airports of Georgia informs that the domestic airports in Mestia and Ambrolauri received 4.047 passengers in seven months. According to data from 7 months of 2018, 194 flights were completed in domestic airports.